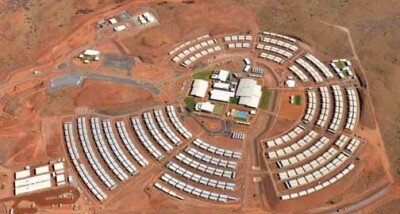 Brookfield Multiplex completed a $190 million contract to design and construct Roy Hill Mine Accommodation Village. 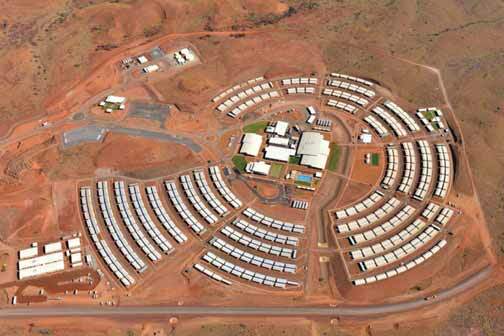 They were also subsequently awarded the $70 million Non Processing Infrastructure (NPI) facility at the Roy Hill mine. The NPI facility is the ‘engine room’ of Roy Hill, with the provision of a heavy and light vehicle workshop, wash down facilities, a boilermaker workshop, tyre change area and lube farm. ST Spatial is a key member of the Brookfield Multiplex team and were supplying up to 2 survey crews on site who were responsible for all setout and as constructed surveys on site. This included survey for Clearing Areas and Permits, Bulk and Detailed Earthworks, Concrete Structures and Bolts, Dimensional Control for Steelwork Structures, Excavation Permits and QA and QC checks on subcontractors.